This functional, practical and beautifully engineered task light takes its inspiration from generations of draughtsman’s and machinists lamps, reduced to a series of cylinders, tubes and junctions arranged in a minimalist sculptural composition. It’s the ultimate understated lighting option for a multitude of interiors. Tunisia-born British designer Tom Dixon dropped out of the Chelsea School of Art to play bass in a band, before teaching himself first to weld, then to produce furniture. By the late 1980s he was designing the iconic ‘S’ chair for Cappellini. A former creative director at Habitat, Dixon is best known for his sleek light fixtures and chic interior designs for the likes of Shoreditch House and Mondrian London. In the Magneto floor lamp, the invisible force of a magnet joins the supporting rod to the illuminating body, allowing you to direct it just like a torch, casting the light in the desired direction. Tank Low Ball Glasses are sold in pairs. Mouth-blown and ornamented with hand-painted copper detailing they go hand in hand with our Tank High Ball Glasses and pair beautifully with items from our Plum range too. Especially made for short drinks, perfect for whisky and cocktails. Presented in gift-worthy packaging. Each Tank Short Glass has a capacity of 200mL. Inventive and imaginative, Ultra Violet lights the way to what is yet to come. A dramatically provocative and thoughtful purple shade, the Pantone Colour of The Year Ultra Violet communicates originality, ingenuity, and visionary thinking that points us toward the future. It suggests the mysteries of the cosmos, the intrigue of what lies ahead, and the discoveries beyond where we are now. Puppy is one of the most iconic products in the Me Too Magis' collection. Created by Eero Aarnio, master of Scandinavian design culture and innovator on the international scene ever since the sixties, Puppy is a little dog as imagined by the great designer, whose aim was to see through children’s eyes when they draw puppies. A head, a body and legs: essential, rounded shapes that come to life in a friendly, playful, durable and colourful object. Made of polyethylene, and produced using rotational moulding, the piece is guaranteed to be both sturdy and lightweight, ready for endless moments of play and fun, both in the house and out of doors. Mirra 2 moves with you, at one with your body. 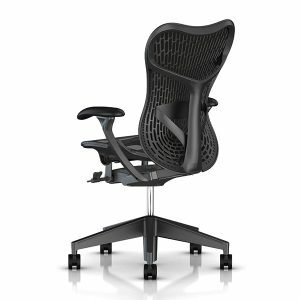 When you sit, Mirra 2 adapts to you instantly. Shift, and the Butterfly Back and AireWeave 2 suspension seat dynamically support even your slightest movements. 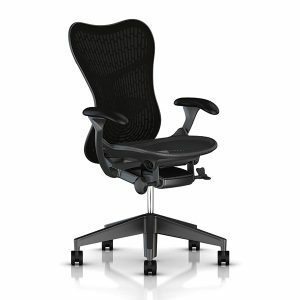 Recline, and the reinvented Harmonic™ tilt provides a smooth, balanced feel. An athletic attitude and plenty of opportunities for personalization define Mirra 2’s lean, sophisticated design. The emphasis on performance is visible. The Butterfly Back, a hybrid structure that merges a fabric layer with polymer veins, makes the chair more responsive, while bringing visual lightness to any environment. With their Hang-It-All, Charles and Ray Eames elevated the everyday coat rack into something inventive and fun. First crafted with multicolored hooks and a white wire frame, the material and colorway offering has since expanded with fidelity to the sophistication—and sense of play—of the original.